This means that for every 10 new cars sold in India 22 used cars are being lapped up by consumer whether it is their first car or not. While the numbers are staggering with the used car market growing at 15-16% for the last five years as recorded by CRISIL, the rating agency, it is no exaggeration to say that there is no dearth of unscrupulous sellers in the market place. The used car market is considerably large in India, with the ratio of used to new cars at 1:2.2. This means that for every 10 new cars sold in India 22 used cars are being lapped up by consumer whether it is their first car or not. While the numbers are staggering with the used car market growing at 15-16% for the last five years as recorded by CRISIL, the rating agency, it is no exaggeration to say that there is no dearth of unscrupulous sellers in the market place. It is therefore of utmost importance to ensure that you have collected the following documents from the seller of the car, so that there are no glitches you face during the course of your ownership. The RC or the registration certificate as you perhaps know is by far the most important document that a car owner must have in his possession as it contains vital details such as engine and chasis number. Ensure that the acronym DRC does not appear on the document as it stands for duplicate registration certificate. Also if the car you are purchasing is a pretty old one or has had a major accident that has resulted in a change of the engine, ensure that the RC carries the new engine number. This too is an important document that the previous owner should hand over to you as it will reveal the condition that you are getting the car in. Do bear in mind that a vehicle that has undergone maintenance checks in authorised service centres periodically, will be in a better condition than one that has been serviced randomly or infrequently. As you know it is very important to have a car insurance to protect yourself from the risk of losing money in case your car were to get in an accident. While purchasing a pre-owned car, ensure that the previous owner has been paying regular premiums and the insurance is transferred to your name. You should also know important things about the car insurance such as when the expiry date is or whether the previous owner has ever had to claim insurance before. Without a perfect insurance policy you may find yourself in a soup later just in case you were in an accident and need to make a claim. You do not want to find yourself in a situation where you are in trouble because the previous owner has not fulfilled his loan commitments if he had taken a loan to purchase the vehicle. While buying a pre-owned car therefore ensure that you have in hand a no objection certificate from the financer saying that the entire loan amount has been paid off. This is a onetime tax that must be paid during the registration of the vehicle by the first owner. Do bear in mind that this is an important aspect you should check as you would otherwise have to pay a penalty as the new owner of the vehicle that may run into several lakhs. If you are purchasing the car from a used car dealer you can be reasonably sure that you are given a printed invoice when your transaction is complete and you are handed over your car. However, an individual cannot provide you with the same. Therefore make sure that you at least have the purchase receipt from the seller. Whether you are buying your care from a used car dealer, an auto company or an individual, documentation is the most important aspect, so do keep a watch so that you do not miss out on important documents that stand in the way of your ownership. 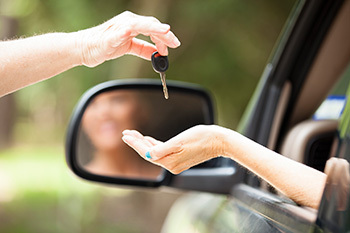 We hope that the following tips will help you on the road to your purchase of a pre-owned car.